What Are Some Easy Party Appetizer Recipes? Easy party appetizers consist of a variety of textures and flavors in one single bite that are easy to eat with the fingers and easy to make, such as goat cheese roll-ups, cucumber caviar rounds and fried ravioli. Dips and spreads go well with toasted breads, crackers and chips for an easy and tasty transport from plate to mouth. Below are a few recipes for easy to make party appetizers. Cut cucumbers into round slices about 1-inch thick. Drop a spoonful of creme fraiche onto each cucumber slice and top with salmon caviar. Heat vegetable oil in deep fryer or large skillet to 365 degrees Fahrenheit and cook mini cheese or meat ravioli's for about 2 minutes. Place cooked ravioli on a paper towel to drain excess oil. Sprinkle with grated Parmesan cheese and salt. Serve with marina sauce. Cut three equal size logs from a 12 oz roll of goat cheese by cutting crosswise. Roll each log in different mixtures, such as chopped herbs, mixed cracked peppercorns and crushed cashews and dried cranberries. Serve with crackers. Combine 1/2 cup of blue cheese with 2 tbsp. toasted chopped pecans until well blended. Spread the mixture on sliced celery sticks and drizzle with honey. Serve on crackers. Where Can You Find Recipes for Homemade Ravioli? What Are Some Popular Appetizer Recipes? What Are Some Good Recipes That Contain Pasta and Vegetables? What Are Some Highly Rated Spinach Salad Recipes? What Are Some Examples of Easy-to-Make Finger Foods? 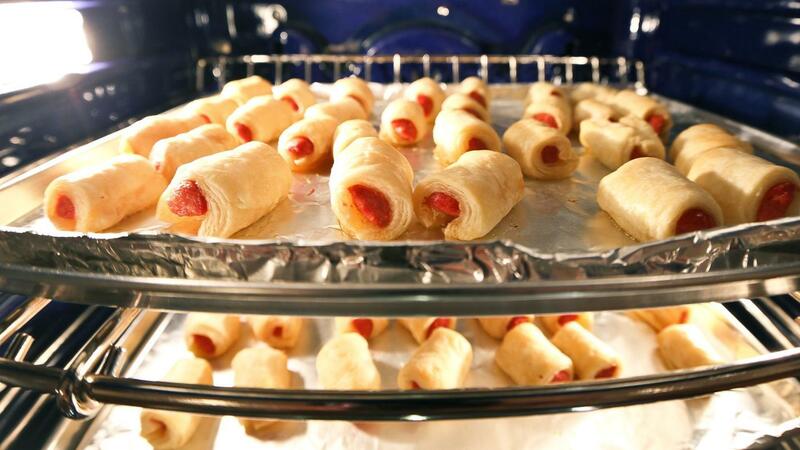 What Are Some Recipes for Crescent Roll Appetizers?